Home > Blog > What Is A Police Communications Officer? What Is A Police Communications Officer? A Police Communications Officer (or police comms) is the first point of contact for all 999 emergency and high priority calls for police assistance. It is estimated that around 80,000 emergency calls are made within the UK every single day. The role of a Police Communications Officer is a wide and varied position comprising early, late and night shifts. It is a twenty-four hour a day, seven days a week role, throughout the year. 999 Call Handlers are required to handle large volumes of telephone calls, obtain and record accurate information, assess the situation and level of police response required and initiate the appropriate police action as rapidly as possible. Often they may be required to handle several emergency situations simultaneously, all of it taking place within the confines of an intensely pressured environment. Every time you respond to a telephone call, it’s impossible to predict what type of call you will be responding to. Why are Police Communications Officers (Police Comms) important? A Police Communications Officer is the linchpin in communication between the police force and the general public. It is a highly demanding, highly stressful position yet can also be extremely rewarding. As a Police Communications Officer you will deal with calls from the tedious to the deadly serious on a daily basis. It is certainly not your standard nine to five job, nor is it for the faint-hearted From people being mugged to someone complaining about their neighbour’s dog, no two days will ever be the same. In order to carry out this role successfully, you will be required to demonstrate key skills and competencies to enable you to handle high volumes of distressed callers in a calm, professional but firm manner. To put the significance of the role within context, the Metropolitan Police Force alone covers an area of 620 square miles and a population of 7.2 million. 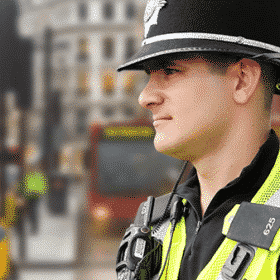 On a typical day, Police Communications Officers working for the Metropolitan Police can be expected to handle around 6,000 emergency calls alone. The number of non-emergency calls can also reach 15,000 every day. That is every day of the year! That’s not the end of the story of course. The level of emergency calls increases dramatically during summer and can reach peaks of around 10,000 calls every day. Equally, Thames Valley Police receives 6,500 emergency (999) calls and 21,000 non-emergency calls (101) every week. How do you become a Police Communications Officer? As part of the selection process for becoming a Police Communications Officer, candidates are required to undergo a series of rigorous assessments. This includes completing a competency based application form, attending an Assessment Centre, participating in a competency based interview and a series of practical and psychometric tests. As you can imagine, many hundreds of people apply each year, so you will need to be fully prepared if you are going to have any chance of passing the selection process. Finally, it is also worth pointing out that the retention rate within the role of Police Communications Officer is relatively low; this means that there is a high turnover rate of staff. The main reasons behind this are the need to work shifts/unsociable hours and also the high stress involved within the job. For even more information on this topic, see our How to Become a Police Communications Officer Guide. Copyright © 2013 Philippa Oakley. All rights reserved. Police Careers: What Jobs Are Available?